Not long after I moved to Clarion Alley in 1981, and explored the little bars nearby, I began pestering Pat Nolan about painting a mural in the Dovre Club. After all, he had that toast LET US NOW DRINK TO THE FINAL DEFEAT OF THE BRITISH ARMY IN IRELAND. I thought we could depict hunger striker Bobby Sands and his other comrades imprisoned in the notorious H-Block, marching amidst other heroes and martyrs of the Irish struggle. It could even be on the panels right outside the door, for murals were going up on the Women's Building in which the dark Irish pub was nestled. Pat cheerfully endorsed the idea, maybe freshened my whiskey at the righteous solidarity, but never gave me the go-ahead. Yet to this day I boast that I attended the Mission's most serious and subtle graduate school of politics, sociology and psychology, where I studied under the best. That is to say, I used to frequent the Dovre Club, and even tended bar in the employ of the Grand Host himself, the late great Pat Nolan. Privileged to enjoy a freewheeling yet economical artist's lifestyle in my twenties, it allowed me the occasional luxury of late-morning visits to the Dovre for a sip of peat and a look at the daily papers. Twice on my way to my elevenses I'd found Warren Hinckle's ubiquitous bassett hound Bentley sniffing his way up Clarion Alley, and knew its return meant a drink on Warren. It was always fun to see, among the gravediggers and piano movers at the bar, the officers of the Women's Building, and Nolan turning on the charm "Ah, darlings, we haven't seen ye down here in a while". Campaign manager Jack Davis came in often despite Nolan's verbal abuse, and when asked point blank refused to tell me what line of work he was in, probably thinking I was joking to even ask. When I'd told Nolan I'd been reading James Joyce, Nolan spat and urged me to read Brendan Behan's _Borstal Boy_ instead, for a sense of his own roiling, boisterous, rollicking Dublin. Though my mother, who'd studied one year in Belfast, had a map of Ireland and some watercolors of its landscape on the kitchen wall when I was growing up, it wasn't till the end of her life that I learned of her abusive alcoholic Irish father, so my tales of the pub might've distressed her. One morning Nolan announced he'd fired another bartender. Soon I was to learn that the barstools there were filled with his former bartenders, but I piped up "Pat, I could work for you tonight". I bragged of past experience as a civilian bartender at the NCO/Enlisted Club at the Presidio, which I'd gotten only because my Fillmore Street friend Leroy Hicks (d. 2016) was dating a woman who helped manage it and they wanted one white guy working the monthly All-Night Soul Discos. Nolan's set of rules was simple. "Now Michael, we had one fookin' idjit workin' here, he got so fookin' drunk he forgot to lock up the place afterwards. Now, you fookin' won't go doin' that on me, will ya?" On my honor, Pat, I won't. Pat felt confident enough, and handed over the keys. And I didn't get that drunk, though I knew that to refuse drinks customers wanted to buy me would have been considered rude and high-hat, so enjoyed the wares of the house as I worked. Evidently the night's reciepts were in order, for in the next few months I worked the Dovre about a dozen evenings more, usually called by Nolan at the last minute. Fellow professionals like Mean Jean Green from a bar on Valencia came in to see if I was worth my salt. The three brothers who worked in the shipyards, whose father let loose his Doberman every morning on Clarion Alley then swore at it until it ambled home, always endeavored to cajole a final drink on the house from me. I soon learned how to carry on a sports conversation without knowing a thing about the players but giving the impression of grave and considered agreement with the conversation's proponent. And one minute a guy was bragging about his beautiful teenage daughter and the next I was gently relieving him of a long-necked bottle with which he was about to brain the oblivious stranger on the next stool. To be a bartender in the Dovre was to keep house in Pat Nolan's name. Ruling the roost from behind the bar, I felt I was in a position of command that a great general had entrusted to me, or like being a Guest Host for the Johnny Carson show. But I didn't work there long enough for Pat to finally blow up and fire me, which all assembled agreed was the inevitable conclusion to a stretch on his payroll. Occasionally Nolan would bring a dodgy character (on the run from Interpol? In town to buy guns?) in during the evening and say "Mike, this is Liam. If anyone asks, you never saw him." I was invited to march in a demonstration at the British embassy in Pacific Heights put on by Irish Northern Aid, and attend a banquet at the Irish Cultural Center for a visiting Dublin councilman named Bernie. So since there's still unfinished business between us--me not being fired, plus a ten dollar loan I meant to pay back these twelve years--I somehow can't really buy this death of Nolan shite. It seems another elaborate prank, like when we celebrated the Dovre's Twentieth Anniversary at year 16 1/2. Maybe in the tradition of Howard Hughes, a spate of rival wills and pretenders to Nolan's boundless estate of good fortune will show up. Jesus Mary Joseph, I'm hoping one turns up where Nolan left the fookin' Dovre Club to me. New Year's Day 2018 I found myself telling these Nolan stories to two Irish-American women I knew from the Bernie Sanders wing of the local Democratic Party. 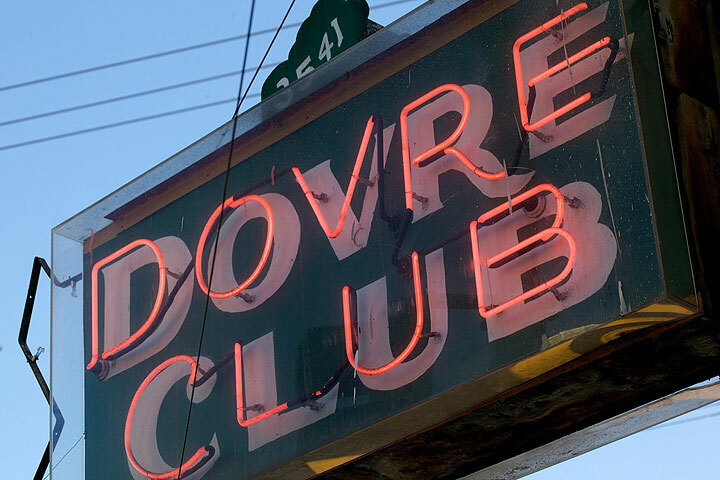 Yes, the Dovre Club was one of the Mission's many schools of politics in the early 1980s I remain grateful to have attended. Mike Mosher was the last CETA-funded community muralist in San Francisco (1980-81) and an editor of Community Murals Magazine 1981-83. Now he's Professor of Art/Communication Media Administration at Saginaw Valley State University in Michigan, and teaches a biennial community murals course.